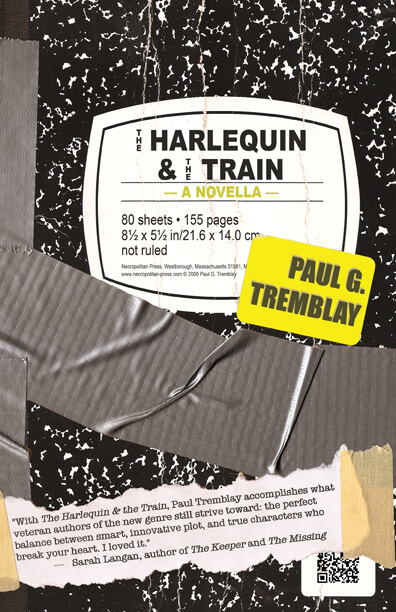 Tremblay is an expert when it comes to piercing the veil of prosaic suburban life to reveal its dark heart. Cryptic, elliptical, and profoundly eerie, The Harlequin & the Train unfolds inexorably as a nightmare. Tremblay is the most literate of genre writers, cutting the language to pieces and reassembling it in new and startling ways. This daring entry into the creepy-doll oeuvre dances the fine line between madness and genius. This limited edition novella, from critically-acclaimed author Paul G. Tremblay, expands upon the short story of the same name (published in Compositions for the Young and Old , 2004, rev. 2005). The first release heralding the return of Jeffrey Thomas's Necropolitan Press, this is an experimental fiction narrative that requires you to interact with it using a simple yellow highlighter. 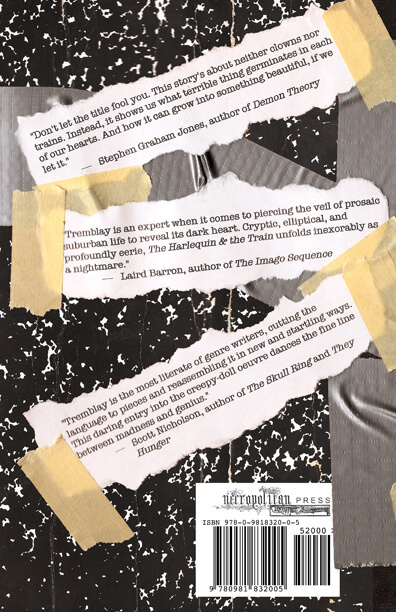 The Harlequin & the Train is a novella about paranoia, choice, and the horror of individual and collective consequence. For more information on this title, please visit the official website for the release: YouAreNotRudy.com.